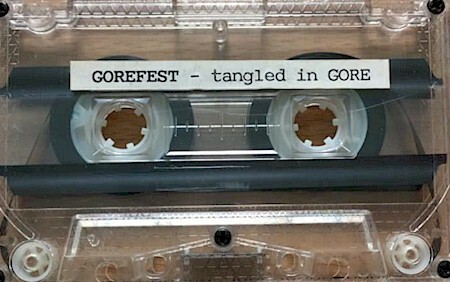 Gorefest is a Dutch band from the Zeeland region of the Netherlands which was founded in 1989 as a death metal outfit by De Koeyer, Harthoorn, van Schaik and Hoogendoorn. Within two months of existence these four death metal enthusiasts recorded a death metal demo featuring one of the most low-pitched and cavernous voices ever heard in death metal. A Dutch independent label, Foundation 2000, signed them for one album. 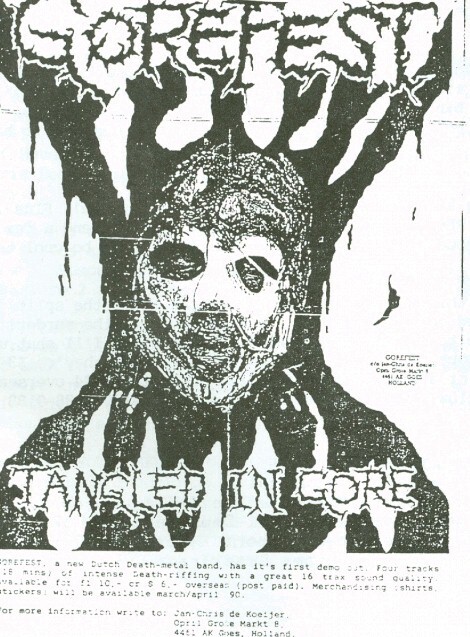 Before recording Mindloss they first released another demo in 1990, which also received positive feedback. As a supporting act for Carcass they travelled through Belgium and the Netherlands impressing the metal-scene also on stage. Colin Richardson was the producer of 1991's album Mindloss. This demo has a copied cover and is a pro studio tapes without print. No lyrics enclosed. I have seen covers in different colors as well, like blue and red. Pro printed cover and studio tape without any print but with a self-made sticker. 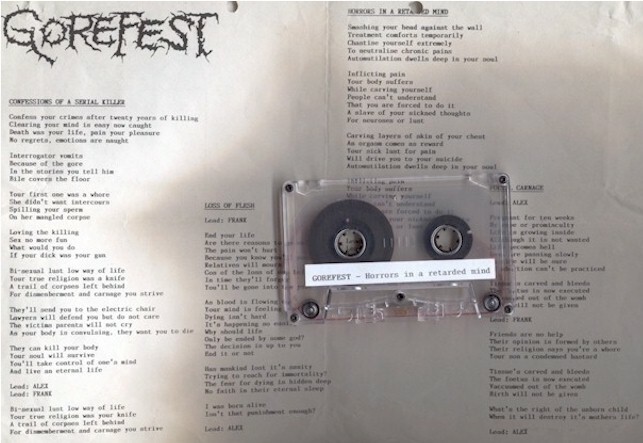 Demo had also enclosed a lyric sheet not included with the tape but enclosed in the letter itself.